With the bull market being a bit long in the tooth and lasting about 6.5 years now I feel it's important to figure out my potential buy zones on some of the greatest defensive companies around, consumer staples. That's why I've been performing full analyses on the other consumer staples giants in preparation for a sour market and potential recession. I have no idea whether these will come tomorrow, next week, or five years down the road but I want to be prepared to purchase more consumer staples companies for my portfolio whenever the time comes. Consumer staples offer downside protection investors since they have generally inelastic demand for their products and also have pricing power over the medium term. This leads to consistent growth across most of the sector and consistent growth in operations leads to consistent growth in dividends. One such company that has always seemed to elude me if Kimberly-Clark Corporation (KMB). 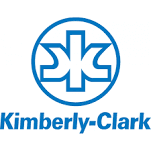 Kimberly-Clark has increased dividends paid to owners for 43 consecutive years. Shares of KMB closed trading on Friday, October 16th at $117.28 giving investors a current yield of 3.00%. The following tables/graphs are taken from my personal stock analysis spreadsheet. Data for the stock analysis was sourced from Archer Daniels Midland Company's investor relations page, Morningstar, and Yahoo Finance. Owners of Kimberly-Clark have earned excellent returns over the last decade. According to longrundata.com, shares of KMB have earned investors a total return of 206.4% or 11.8% annualized over the last decade. Those numbers are market returns at specific snapshots in time and aren't necessarily indicative of the business results over the same time period. Looking at the historic growth rates for per share dividends, earnings, revenue, and free cash flow gives a better idea of the true operational results that Kimberly-Clark has delivered. Continue reading the Kimberly-Clark Corporation dividend stock analysis on Seeking Alpha. Also, to see more of my stock analyses check out my Stock Analysis page. DGI blogs tend to be a bunch of 'cheerleader' posts. I think these 'beware' posts are valuable too. Thanks for posting. Don't get me wrong, I like the company and eventually want to add it to my portfolio. But that doesn't mean I'm going to pay up just to add it to my portfolio. I ran into one guy on SA that was talking about how he buys the aristocrats no matter what. Which is fine because there's probably worse things you can do from an investment standpoint but that's not for me. Great Article, thanks JC. We'll see what happens to the price after earnings are announced on Wednesday. I have held KMB since 2007 with no plans to sell. Believe me, I would love to add to many consumer staple names with KMB being one of my top picks but not at current valuation. I agree that simply buying a dividend aristocrat at any price might not be the best move and for now KMB doesn't come close to a potential buy for me. It's still about the industrial names, financial (large Canadian banks) and energy.